Description. 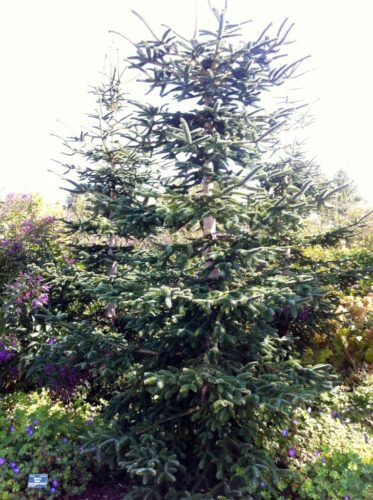 Algerian fir is a medium-sized to large evergreen coniferous species of tree which grows to a mature height of 65 to 115 feet (20 – 35 m) tall, with a trunk up to 3.2 feet (1 m) in diameter at breast height. The leaves are needle-like, moderately flattened, 1 to 1.5 inches (2.5 – 3.75) long and ca. .01 inch (2–3 mm) wide by 0.04 inch (1 mm) thick, glossy dark green in color with a patch of greenish-white stomata near the tip above, and with two greenish-white bands of stomata below. The tip of the leaf is variable, usually pointed, but sometimes slightly notched, particularly on slow-growing shoots on older trees. 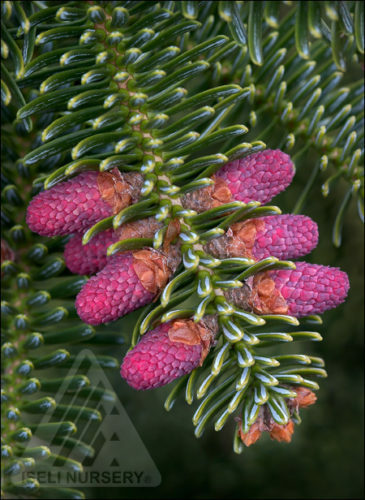 The seed cones are glaucous green with a pink or violet tinge, maturing brown, 4 to 8 inches (10 – 20 cm) long and 1.5 inches (4 cm) broad, with about 150–200 scales, each scale with a short bract (not visible on the closed cone) and two winged seeds that disintegrate when mature to release the seeds. Distribution. This species is native to Algeria where it is endemic to Djebel Babor, the country's second-highest mountain at 6,500 feet (2,004 m) in the Algerian Tell. It grows in a high-altitude Mediterranean climate at approximately 6,000 feet (1,800 – 2,000 m) elevation (rarely down to 1,300 feet [1,220 m]) with an annual precipitation of 50 to 60 inches (1,500 – 2,000 mm), the great majority of which falls as winter snow; the summers are warm and very dry. 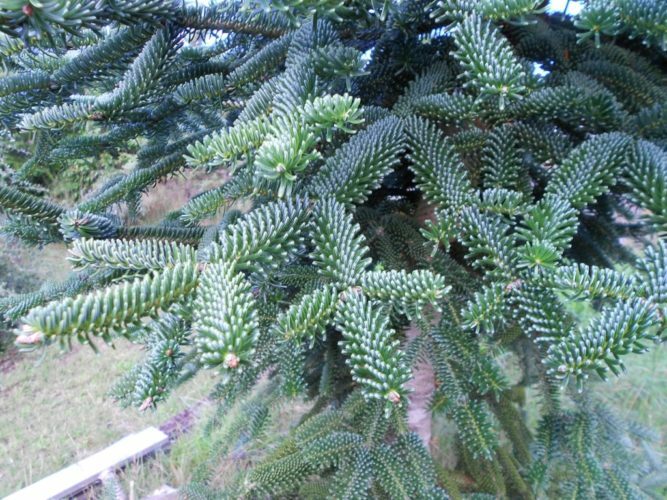 It is closely related to Abies pinsapo (Spanish fir), which occurs further west in the Rif mountains of Morocco and in southern Spain. 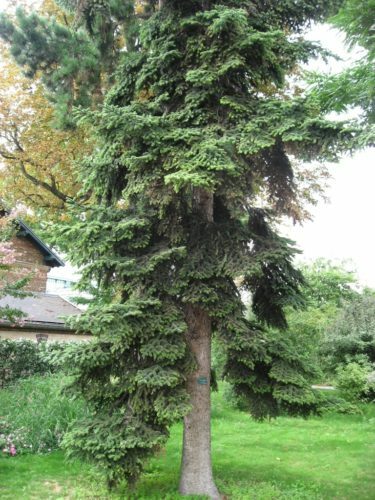 This species is popular as an ornamental tree in parks and larger gardens as it is valued among firs for its drought tolerance and attractive appearance. 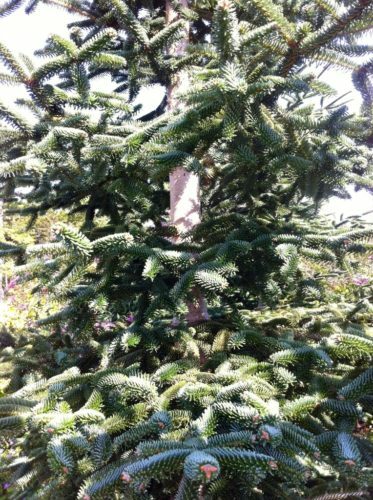 When young, Abies numidica, the Algerian Fir, has an attractive light gray bark. 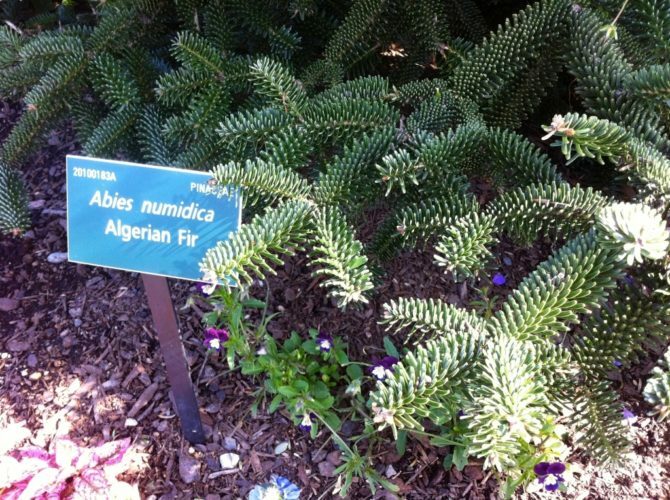 Algerian Fir photographed in The Jardin des serres d'Auteuil, a botanical garden in the Bois de Boulogne, Paris, 2008. A nice closeup of the distinctive scaly brown buds. 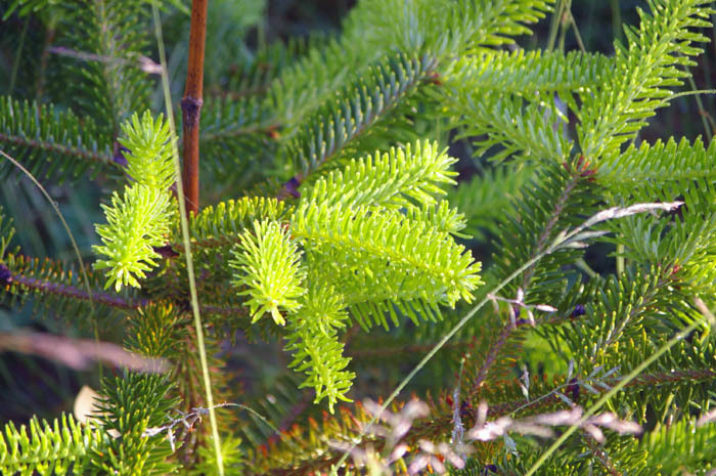 Closeup of Abies numidica detailing the distinctive branch and needle structure of the species. 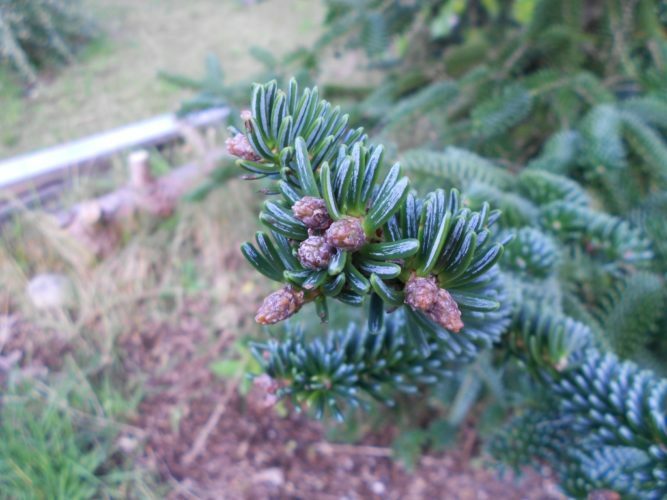 Abies numidica em> male cones. 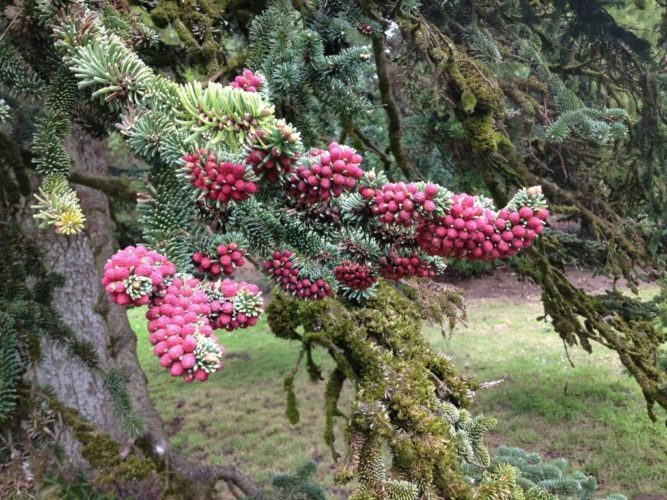 Abies numidica at San Francisco Botanical Garden, California. The resplendence of the male strobili is stunning.